Hello party people, time for install 2 of Treat or Treat or Treat Friday. Yes, this is very special, to have 3 blog posts in one day, and it shall never happen again. 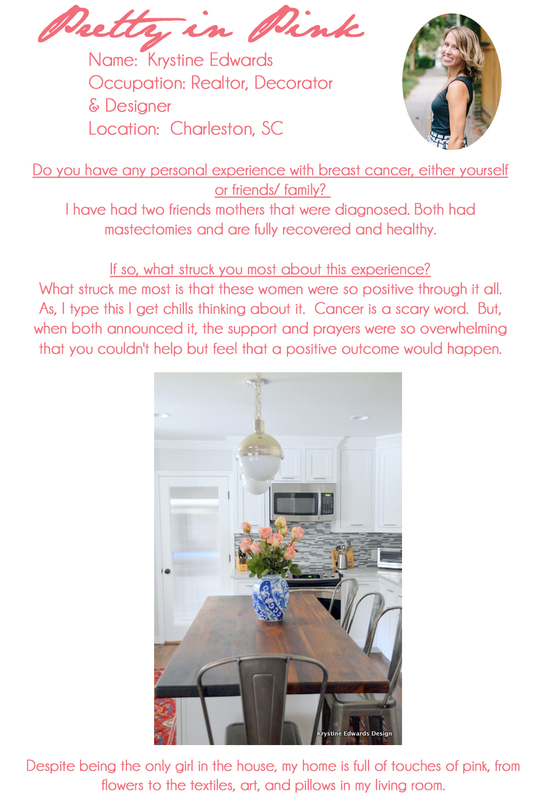 She is a real estate magnate and talented designer in the beautiful city of Charleston. She is also a hip and happening mother to 2 cute as pie little boys. I am always floored by how cute she looks ALL the TIME, and how much fun she is having everyday at her job. It’s no wonder she excels as what she does, as she does it with so much love and enthusiasm. I became friends with Krystine through Calling It Home’s One Room Challenge, and I’m always amazed by how positive and encouraging she is, and how much time she takes in cultivating her relationships with others. It’s no wonder that she’s so successful. Thank you so much Krystine for spending time with us today at aquahaus. You are awesome! I’m coming to Charleston soon and I fully expect a raucous girls’ night out on the town! We’ll have our own little ORC celebration! Thanks Celine for having me! I loved being a part of this amazing series! Yes can we please celebrate soon?! ?